A few weeks ago, one of our Facebook friends shared a frustrating experience she had with a locksmith. She had questions and by trying to help direct her to the appropriate agency, we realized we actually didn’t know that much about this industry. So in this blog post, we’re sharing some of the information we learned about locksmiths in BC (mostly sourced from the Government of British Columbia website): find out what locksmiths are (and aren’t) allowed to do, who licenses them and where to go if you have a complaint. In general terms, a locksmith is a person whose job is to make and repair locks. Activities may include re-keying or pinning locks, cutting or making restricted keys, servicing or repairing safes and more. For the legal definition of a locksmith and his or her designated activities, check out this information from the BC Government. Do locksmiths have to be licensed? Yes. In BC, locksmiths are considered “Security Industry Professionals” and are required to be licensed by the Ministry of Public Safety and Solicitor General. Some of the other professions that fall under this label include security guards, security alarm installers, armoured car guards, private investigators and more. Check the status of a security licence here. What should I know about locksmiths? Locksmiths have to carry their licence at all times – if you ask to see it, they have to show it to you. Locksmiths are not allowed to carry a badge. Locksmiths have to act with honesty and integrity. Locksmiths must not discriminate based on someone’s race, religion, sexual orientation, age, social status and more. Locksmiths are not allowed to use profane, abusive or insulting language or actions. What should I do if I have a complaint about a locksmith? If you have a complaint that falls under the Security Services Act or Regulation, you can issue a complaint to the Registrar of Security Services (here is a link to information on how to do this). If your issue falls outside of these laws, such as a pricing dispute or a quality of service issue, you may want to contact your local Better Business Bureau office. Find a legit locksmith – before you need their help. Often, the need for a locksmith arises in a time of urgency or crisis. Do your research beforehand: ask friends for references, check online review sites and always make sure they’re properly licensed (see below!). Keep their information in your phone or another easily-accessible place for when you need their services. Make sure your locksmith is properly licensed. Remember: by law, locksmiths have to be licensed. The government has an online service where you can quickly verify that a locksmith is properly licensed – click here to look someone up. And don’t forget that locksmiths are required to carry their licence and show it to anyone who asks. Know where to go for help. If you have a complaint about a locksmith, first make sure your issue falls under the Security Services Act and/or Regulation.To make a complaint, complete this complaint form (PDF) and email it to Security Programs Division or send it to the mailing address on their contact page. If you mail the form, they ask that you please write “Attention: Compliance and Enforcement” on the envelope. Consumer question: how can I tell if a contractor is legit? Thank you for the post! We were told to get in contact with a locksmith when we moved into our condo. I wasn’t sure what they did to be honest. I like the tip on finding a good locksmith before we need one. I also like that there is a place to complain if we had a bad experience. 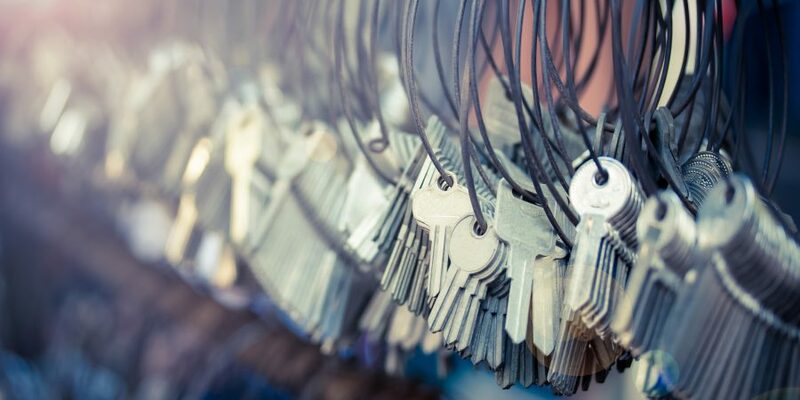 These are great tips and facts that everyone should know about locksmiths and the services they offer. I didn’t realize until reading this that they made and repaired locks, I thought they only repaired them. My family has a bad habit of locking the keys in the house, so we will keep these things in mind next time that happens! Well, I have got the best information from here the site is fully stuffed with the knowledgeable information. We must know everything about Locksmiths because in any emergency lockout situation, we need to hire them. Appreciating the time and energy you put into this post and detailed information you offer. It’s actually a cool and useful piece of information. Great read! a locksmith is a person whose job it is to make and repair locks. Locksmiths for the most part are honest people. I had a key for my motorcycle made after I lost my keys. The locksmith quoted me $100 which I accepted though I felt it was a bit high. I even brought him the key switch. A week later, it was ready but he said the boss wants $200 and would not give the switch to me without paying. I called another locksmith and was quoted “Worst case scenario, $75 if they have to cut it by hand.”. Needless to say, I will never go back to them. So get a written quote first. Hi Ed, thank you for sharing your story. It sounds like getting a second quote is a good idea! Hi Bram, thanks for your question. I think the link here provides you with a lot of information on how to determine the validity of someones licence: https://justice.gov.bc.ca/security/utilities/. As this is not an area we specifically oversee, I would suggest contacting the Security Programs Division if you want more information or would like to know what a licence looks like exactly. Here’s their contact information: https://www2.gov.bc.ca/gov/content/employment-business/business/security-services/security-industry-licensing/contact I hope this is helpful and best of luck! I like how you suggested finding a legit locksmith before you need their help. I was recently locked out the other day and had to search for a locksmith. Thanks for the tips on locksmiths.